#FishFarm - Could proposals for the Galway Bay Marine and Renewable Energy Test Site provide a back door for fish farming in the bay? 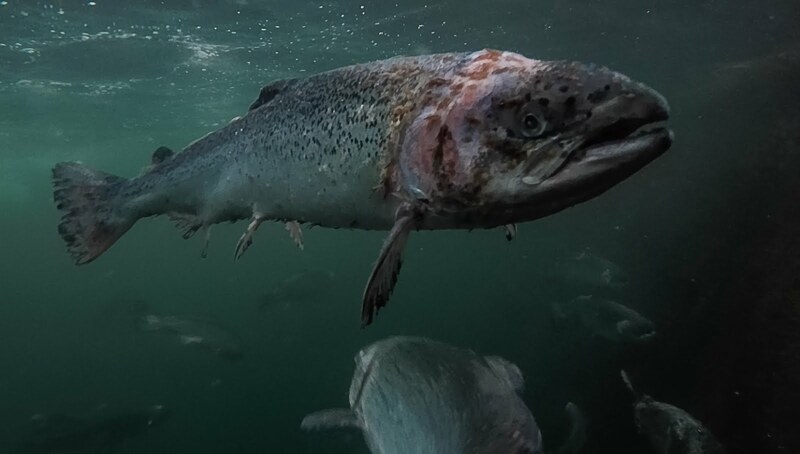 That’s the concern of local campaigners after a Statutory Instrument was enacted earlier this month that changes the licensing laws for salmon farming for research purposes, as the Connacht Tribune reports. The new law allows for salmon farms under 50 tonnes to operate without an Environmental Impact Assessment – one of the issues before the withdrawl last year of controversial plans for what would have been one of the largest aquaculture projects in Europe off the Aran Islands. According to Billy Smyth, chair of campaign group Galway Bay Against Salmon Cages, the move confirms suspicions that the Marine Institute test site off Spiddal could be used for fish farming. “Let the Marine Institute just ask the Norwegians for the results of their research and save money,” he said. The public consultation on the foreshore lease application for upgrades to the present test siteclosed earlier this month. But contributions are still being sought on a new strategy for coastal communities with fishing and fish farming interests under the FLAG West scheme, following a series of public meetings in Co Galway last week. Galway Bay FM has more HERE.